What is a Pop-in portrait? Our photographers love the chance to show off their studio and their skills. 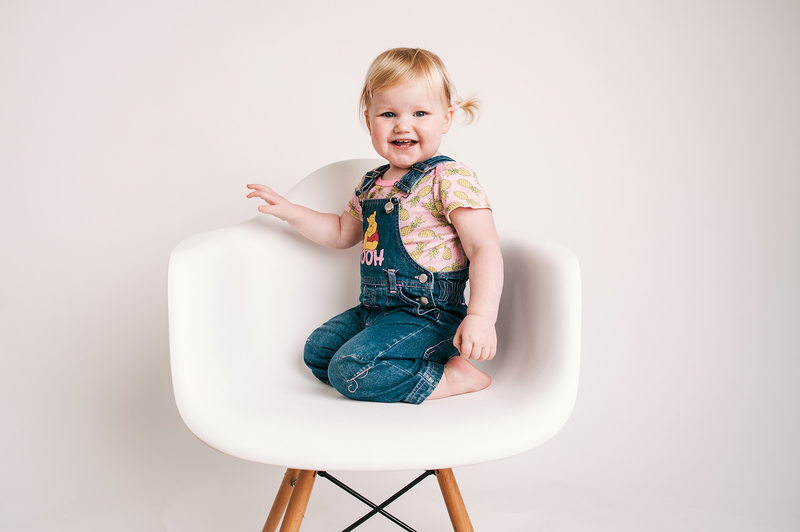 Our Pop-in open days offer you the opportunity to capture a professional portrait of your baby growing month by month for a tiny fraction of the cost of a private portrait session. For babies, bumps, and children of all ages! Pop-ins are perfect for baby bumps, babies in their first year, pre-school aged children, and bigger kids are welcome too. 6 days-16 years. To book a maternity Pop-in, just book online as usual but type ‘bump’ in place of ‘child’s name’ and your due date where it asks for your ‘child’s DOB’. Our Monthly Pop-in shots are of individual child portraits only! If you’d like a portrait of your two+ kids together, keep an eye out for our sibling special during the school holidays. PS: Twins are no exception, don’t miss the chance to capture your twins’ gorgeous individual personalities with a portrait each! Come once, twice, or every month! Our photographers open their studios just one day a month. Photos are taken the same way each month so you can capture your child growing month by month. You can choose how often you’d like to pop! Just book an appointment online, then pop in to the studio on Pop-in day. Each child takes only minutes to photograph so you won’t be waiting long. Because everyone comes on the same day, we can split the full cost of a professional photography session to make it affordable for everyone. You’ll receive a link to download your digital portrait within 10 days of your shoot – it’s ready to DIY print and share! We choose the best photo for you so there’s no tough decisions and nothing more to pay. If you’re a professional photographer who’d love to host your own Pop-in day, please get in touch. Log in or sign up to book your Pop-in now!